This article gives you complete details about Portal 2: Award winning videogame 2011. More details about the game details, summary of the game, system requirements for PC, ratings and reviews of Portal 2 are quoted in this article. Read the article full for more details. Portal 2 is the second game in Portal series. 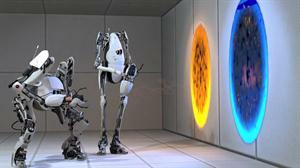 Portal 2 is a first person puzzle game which is released in all platforms. Portal 2 is one of the most reviewed video game 2011 in PC. Portal 2 was released in April 2011 in all platforms which includes Microsoft Windows, Mac OS X, PlayStation 3 and Xbox 360. Portal 2 was developed and published by Valve Corporation. The game was written by Erik Wolpaw, Jay Pinkerton and Chet Faliszek. Portal 2 includes both single player and Co-operative modes. Portal 2 had won "Ultimate Game of the Year" in Golden Joystick Awards 2011. Portal 2 is one of the best puzzle games and player in the game has to solve the puzzles using Portal gun. Player will play as portal and one of the two robots named Atlas and P-body in Cooperative mode. The game comes with excellent graphics and stages. The main character of Portal 2 is Chell. Portal 2 shows the technological improvement in videogames which is used perfectly in Portal 2. There are many downloadable contents for Portal 2. More details about the system requirements for Portal 2 in PC, game details, summary, ratings and reviews of Portal 2 are given below.